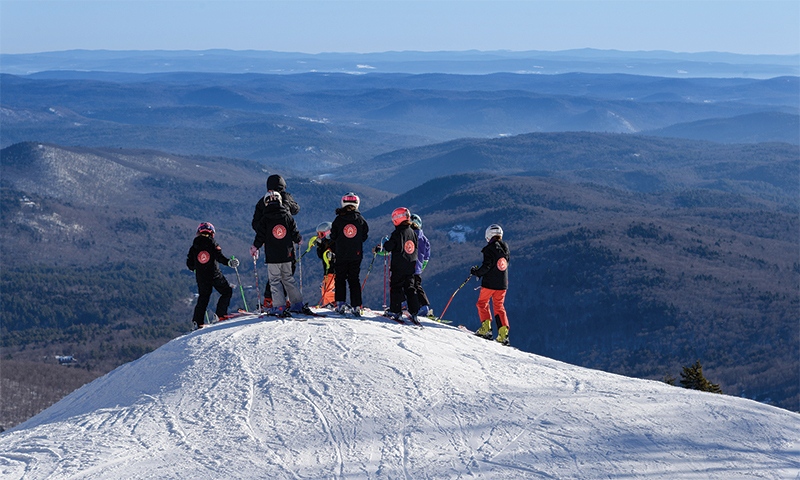 Meet Martha Dale, Toure Christie, and Sarah Knelp, three of the many instructors at Stratton Mountain Sports School who share a passion to teach children and adults how to embrace, enjoy, and excel on the mountain. 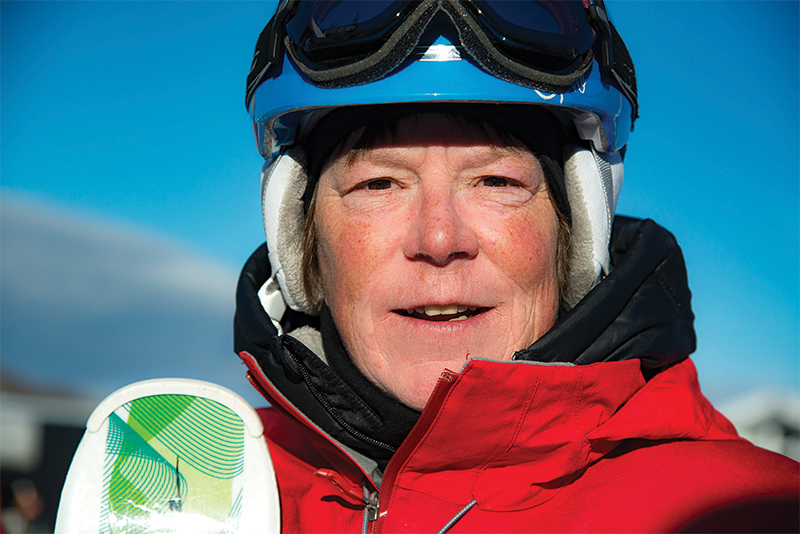 Former health-care administrator Martha Dale began her “encore” career at age 58—as a ski instructor at Stratton Mountain Sports School. Now 63, Dale is about to begin her sixth season on the slopes guiding skiers from 3 to 70-something as they work toward mastering the mountain. Dale said she especially enjoys teaching the youngest skiers, because they’re so much fun, and women, because they are so dedicated. Dale said her favorite memory from her days on the mountain involved a family of four—mom, dad, and two young boys—who had come to Stratton from Ireland and who had never been skiing before. 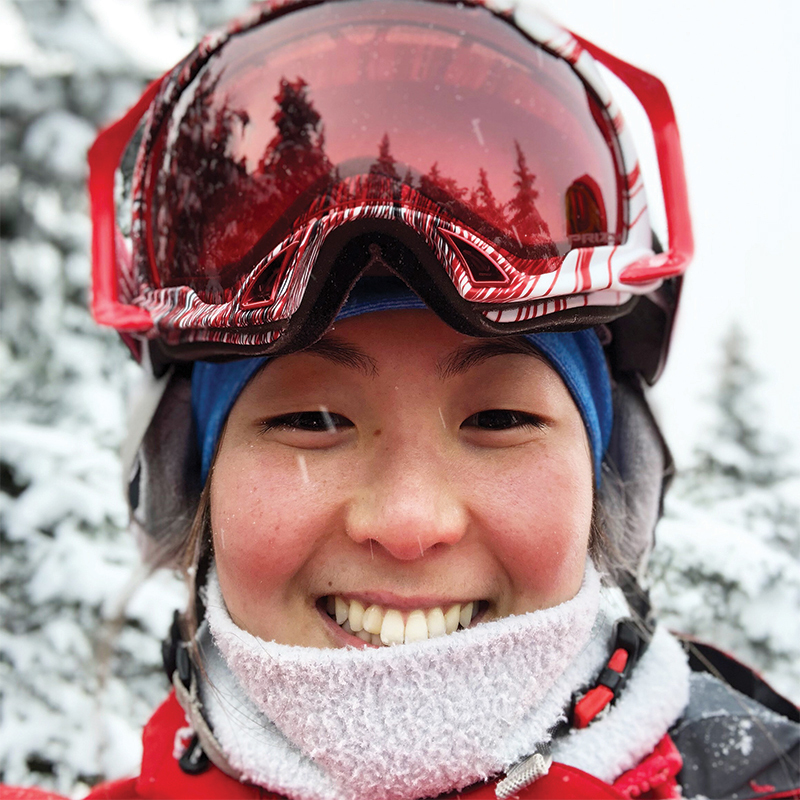 Although being a ski instructor is all about helping students be more confident and comfortable on the slopes, Dale said she gets as much out of the experience as she gives. 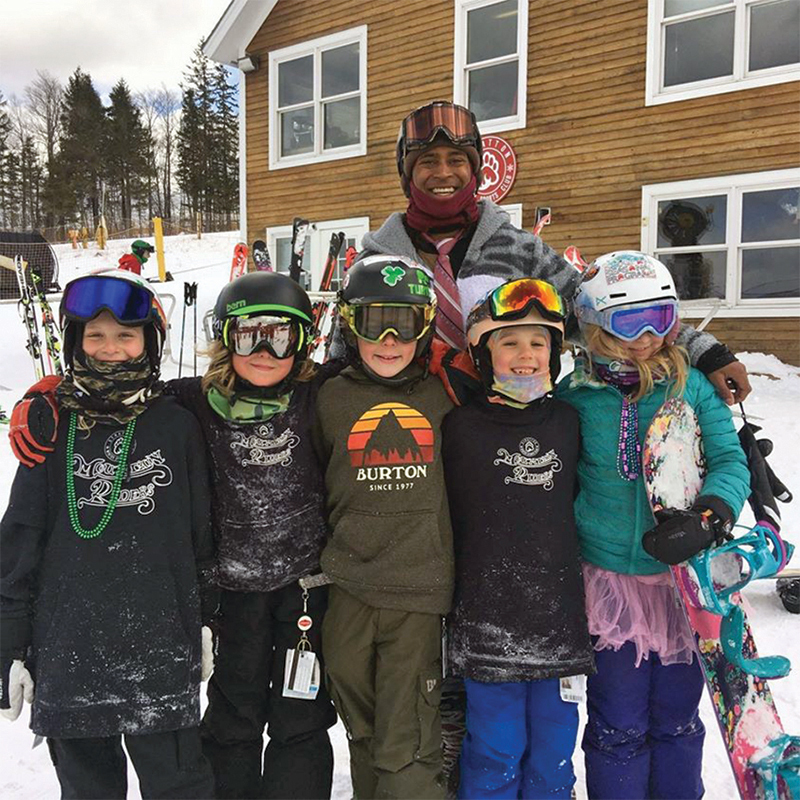 Former lift attendant Toure Christie’s enthusiasm for the sport and rapport with kids were some of the reasons why he believes he was tapped to coach young Shaun White–wannabes at Stratton Mountain. After just a few months ushering little ones onto the Magic Carpet in the mountain’s Learning Area, one of Christie’s bosses asked if he’d like to train to be a coach. Christie, who is 28 and about to begin his fifth season at Stratton, said his favorite part of coaching is watching his students become better athletes, as well as the friendly, family atmosphere on the mountain. “I’ve been coaching some of the same kids for the past four years and you get to be like family,” he said. He added that he grew especially close to a couple of his young students who, like him, had lost their fathers. When he’s not working at Stratton, Christie follows his other passion—music— working food trucks at festivals across the country, including the Bonnaroo Music and Arts Festival in Tennessee, the Firefly Music Festival in Delaware, and the Electric Forest Festival in Michigan. Not surprisingly, he started out working for one vendor and parlayed it into multiple gigs with numerous others that kept him on the road all summer. 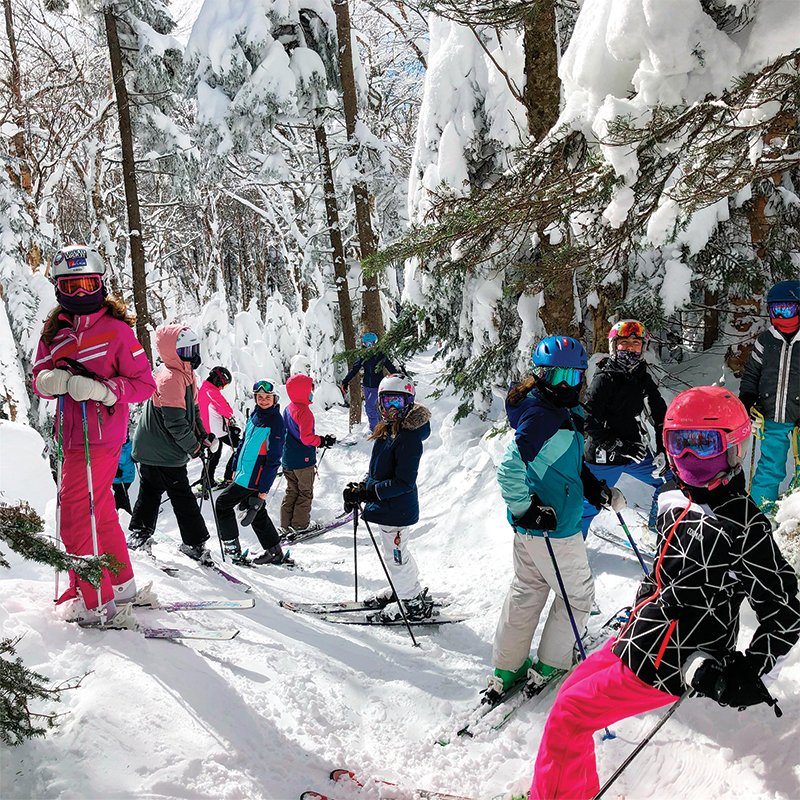 Stratton Mountain School instructor Sarah Knelp considers herself “a Stratton baby, born and bred.” She began skiing as a toddler in the Little Cubs program and progressed through every class, finishing up in the TIPS program, which grooms teens to become ski and snowboard instructors. 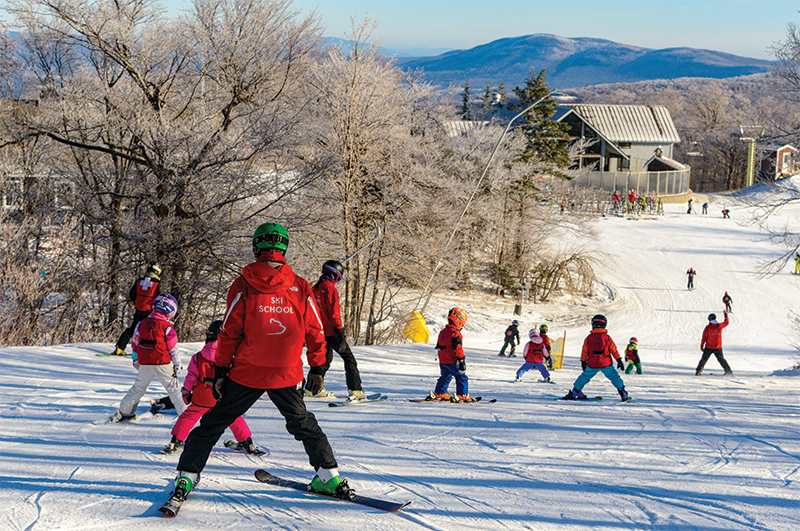 Knelp, who is about to begin her 10th year as an instructor, works weekends and school vacation weeks with the Synergy program, a seasonal ski class for children 8 to 13. In addition to developing rewarding relationships with her students, Knelp said she also gets a thrill watching them master the physical side of skiing. Knelp said one of her favorite experiences as a ski instructor was with a 6-year-old who had never been on skis and who was wearing a weight pack for a spinal displacement. Knelp found out her student was a big fan of monster trucks. So, she told him to pretend that his weight pack was a monster truck engine. Knelp said her experience at Stratton helped foster her love of teaching and led her to a career as a school speech pathologist.